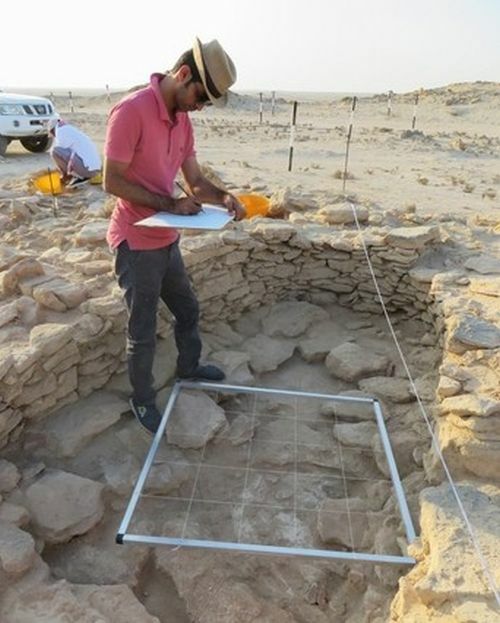 Touted as one of the incredible and rare historical finds in the Gulf region, archaeologists from UAE have revealed the preserved scope of a three-room house that is believed to be around 7,500 years old. Located on Marawah Island, just off the coast of Abu Dhabi, the residence was probably a part of one of the largest Stone Age settlement in the region. These important discoveries signify Abu Dhabi’s advanced construction methods from the Neolithic [era] and the influential role it had in early long-distance maritime trade. The expertise of our team of archaeologists allows us to build a narrative of the emirate’s ­development and history, piecing together an intriguing and intricate story of the earliest known inhabitants of the emirate of Abu Dhabi. Now when it comes the architectural factor of this prehistoric house, experts are genuinely surprised by the well-preserved condition of the specimen. According to Dr Mark Beech, head of coastal heritage and palaeontology at TCA, the retained structural features of the residence have allowed the researchers to discern the entire plan and sections of the building. For example, the archaeologists have identified the backyard and projecting walls, with plans that are similar to vernacular Arabian houses. Furthermore, the walls of the house were found to have a thickness of 70 cm, which suggests that they were corbelled for supporting rough arches (and dome-like spatial elements). Interestingly enough, beyond the ambit of the house itself, researchers are looking forth to find an entire Stone Age village. To that end, the house was only discovered at one of the seven mounds on the Marawah Island. And with additional artifacts found in the area, the researchers have hypothesized how the Neolithic villagers possibly engaged in herding sheep and goats, while taking part in hunting endeavors (with stone weapons) to kill animals like gazelles. Other than just land-based activities, the population also dabbled in hunting down marine-based lifeforms, as is evident from the discovery of shell beads and shark tooth, probably used as adornments. The recent excavations have clarified a lot of questions we had about this period. It tells us about life in the Stone Age and that people had domestic animals, but they also relied a lot on marine life. It also shows that they had a varied diet and were involved in long-distance trade, as we see with the pottery. Life on these islands was actually quite good. You had food resources, water supply and trade, and, of course, the climate was better than the present time. Material will gradually go on display but we are still studying, doing investigations and preparing publications. Sometimes it takes many years of work to document a site because we have to be very careful, drawing maps, documenting, studying. The Marawah excavations will continue for many years because it’s a slow, painstaking process of digging, screening and putting everything through a 1 millimetre sieve and sorting it. Lastly, and pretty interestingly, the archaeologists are also conducting their excavations at Baynunah, about 80 miles south-west of Abu Dhabi. 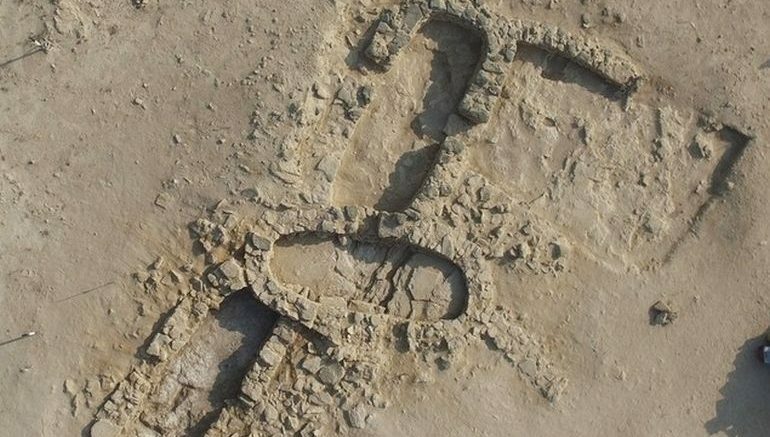 As opposed to the Neolithic settlement pattern in Marawah, the Baynunah site showcases the ancients’ penchant for hunting down animals, especially wild camels – as is evident from the 6,500-year old remains of the animals. To that end, the site actually hints at the earliest known example of mass hunting of animals in the Middle East region.